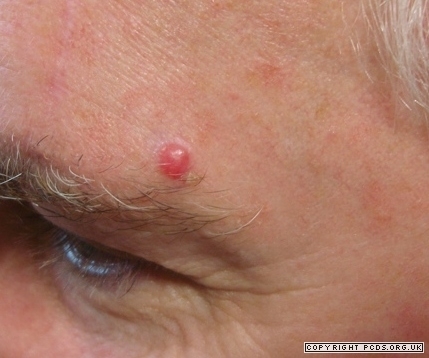 Unusual skin tumour in older people. Atypical Fibroxanthoma is an uncommon Skin Tumour. 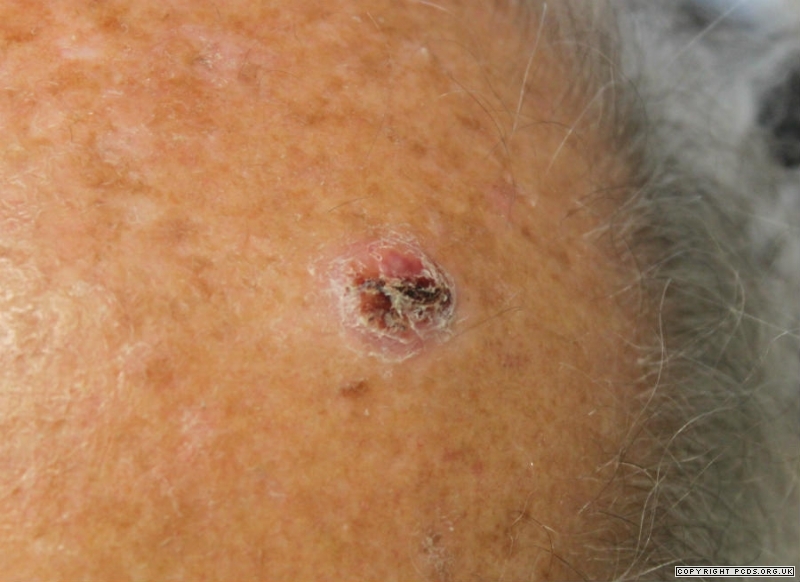 The lesion usually occurs on older people’s head or neck and appears as an enlarging nodule that becomes crusted. The appearance is not specific and may look very similar to the more common squamous cell carcinoma. 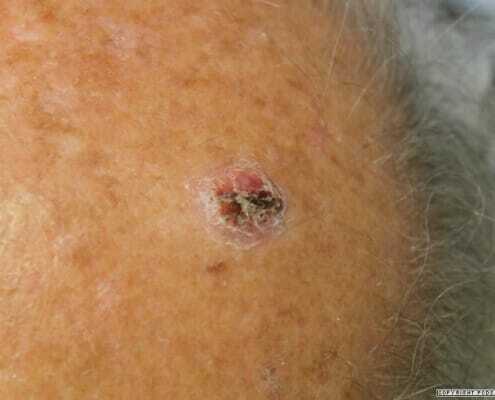 The final diagnosis is made during pathology examination of an excised skin lesion. 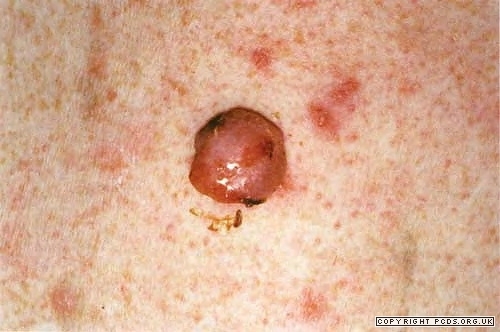 Atypical Fibroxanthoma occurs in response to UV light and may be thought of as a type of Solar-induced Skin Cancer. The tumor is low grade but does require surgical excision with wide margins because the nodule may otherwise spread to nearby skin. Atypical fibroxanthoma is a rare finding at The Skin Cancer Clinic.